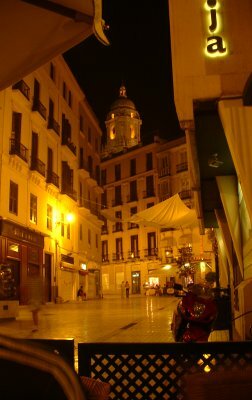 There are still five days left to submit a proposal for a presentation at Akademy 2009. The deadline is on Friday, April 10th. Akademy happens as part of the Gran Canaria Desktop Summit this year. See more details about what we are looking for in the call for presentations. Akademy is the prime occasion for meeting the community, and present and discuss your ideas. Lots of great initiatives were kick-started at Akademy. I'm doing my last preparations for FOSDEM right now. Together with the other SUSE guys I will go to Brussels later today. I'm developing and maintaining a small application called Plutimikation for my daughters. It's a math learning game for children. Today I did a release of the current state as Plutimikation 0.2. It's the second release. The first release was four years ago. It's interesting how tools and infrastructure have evolved since then. Today releasing software is almost fun. Four years ago I hosted the code in a private Subversion repository and manually built a package for SuSE Linux 9.1, which was the current SUSE version back then. It's Friday now and hackweek comes to an end for me. It was exceptionally fun and we got some decent work done. The team was fabulous, a combination of SUSE and external community guys. Frank was here for the whole week and worked on the API and the opendesktop.org implementation of it. 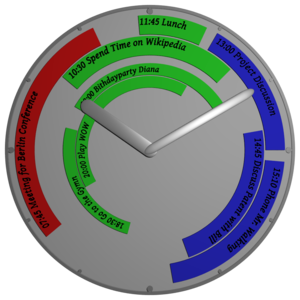 While browsing through kde-look.org I found a cool idea for visualizing a daily agenda. This reminds me of the Akonadi architecture diagram and I even have code (probably not up to date) for drawing this kind of diagrams. So I guess it would be doable without too much effort to implement a daily agenda viewer like this. Would be a fun project.